There are a wide variety of financial problems that people face. 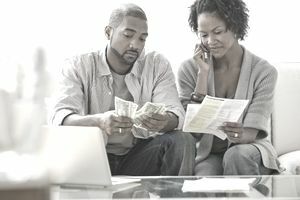 For many people, financial trouble begins when you have a hard time with budgeting, but there may be additional issues that lead to serious financial problems. If you want to fix a financial issue, you need to take the time to identify the source of the problem and then from there you can begin to fix the problem so that you can take control of your finances. You may be having budgeting problems if you are constantly running out of money before the end of the month. You may also be relying on your credit cards to make ends meet each month. You may not have a good idea of where your money goes each month. If you look at what you make and you wonder why you just cannot make ends meet even on a good salary, you likely have a budgeting issue. You may even have a written budget that you try to follow each month, but it never seems to work. These are signs are budgeting problems. If you do not have a budget, you need to start by creating one. The easiest way to do this is to look at what you spent in each category each month and make that your basic budget. When you are creating your budget you want each dollar to have a place to go so that you do not have any left over when you are done. This means that money you put into savings is planned as one of the expenses on your budget. Budget tracking software like YNAB or Mint can help you find the totals that you spend each month. If you are married, you need to do this with your spouse. Writing down a budget is actually the easiest part of budgeting. The real work and success come when you begin to track your spending and adjust it as necessary. You can use a budget tracking software as long as you keep up with checking the transactions each day. You also have the option of switching to an envelope budgeting system. This is basically a cash-only budget where you pay cash for your categories like groceries and entertainment. At the beginning of the month, you will put the money you budgeted into an envelope for each category and when you run out of money you stop spending. The key to making your budget work is realizing that it is flexible. You can take money from category and use it in another category in case you overspend. For example, you may splurge on concert tickets, but then have to adjust your grocery budget to cover the extra that you spent in your entertainment category. Similarly, if you spend too much on groceries, you have to take it out of another category. If you are married, then budget meetings are essential if you want to succeed financially. You will need to communicate on a regular basis about the budget and who is spending what where. This is when budgeting software comes in handy because you can update it when you are shopping, and it can prevent you from overspending when you are on separate errands. Most people have an area where they consistently overspend. In order to be successful when budgeting, you need to address the leaks in your budget and find ways to address those issues. If you go crazy when you go shopping, try to limit when you go and find someone who will go with you to help you stop spending when you have reached your limit. Do not take a credit card with you when you go shopping. If you spend too much money eating out, then make meals ahead, create a menu plan and a grocery list. No matter what the problem, there is a strategy you can use to help minimize the spending in your category. Too much debt can be crippling. It limits what you can do with your money. It may be difficult to make ends meet even when you are making a good salary and keep your expenses to a minimum. It is important to address your debt issues as quickly as possible because you will not be able to get ahead financially if you are carrying a large amount of debt. The most important step to getting out of debt is to create a debt payment plan. This plan will help you focus the extra money you have on your debts in order to pay it off more quickly. Start by listing your debts. You can list them in order of smallest to largest or highest interest rate to the lowest interest rate. This is the order that you need to pay the debts off in. Once you have paid off the first debt, you will take the money you were paying toward it and add it to the payments you are making on the second debt. You will continue rolling the amount over until you have paid off all of your debt. If you can find extra money to pay off your debts, you can begin moving forward much more quickly. You may want to consider selling items you no longer use to help raise money. You can also look in your budget for additional ways to save money each month. If you can sacrifice your lifestyle for a short while, you may be surprised at just how much you can pay off on your debt. Another option is to take on a second job in order to speed up your debt payment plan. In fact, you should likely consider a combination of all three if you are serious about conquering your debt. There is no point in working to get out of debt if you continually go into debt each month. It is essential to stop going into debt and to stop using your credit cards if you want to get out of debt. This is why a budget is so important to all aspects of your financial success. Take the time now to get on your budget so that you stop relying on your credit cards. Setting up an emergency fund can also help you stop using your credit cards when unexpected expenses come up. Credit problems can make it difficult to land a job, rent an apartment or buy a home. It can affect the interest rates on your car loan and negatively affect your finances. It is important to understand how your credit works so that you can understand why your credit score is low and start to fix it. Late payments and old debts can ding your credit score and bring it down. The first thing you should do is work on becoming current on all of your payments. This is not the same as addressing debts that have been sent to collections. This is things like your utility payments, credit cards, and rent. Make sure you bring these current and keep them current. Paying on time each month can help raise your credit score. Another issue that can lower your credit score is being near the limit on your revolving lines of credit like your credit cards or home equity loan. The way to fix this issue is to begin to pay down your debts. It really is most effective when you focus on one credit card at a time. This will make your payments go much more quickly. When you are getting out of debt, you may want to close each credit card as you pay it off, but this can actually lower your score. Instead, you need to leave them open until you have paid off your debt. Then you can start closing accounts, but you should always leave your oldest card open since a longer credit history can help raise your score. If you have old debts in collections, you can often settle these debts. When you settle a debt, you pay less than you currently owe, and the creditor will forgive the rest of the debt. You can do this by contacting the creditor and offering to settle. You should start with a low amount and offer a one-time payment. Do not give the creditor access to your checking account or pay over the phone. Instead, send a cashier’s check by certified mail once you have received a letter saying that if you pay the agreed upon amount that the debt will be considered paid in full. You need to keep a copy of each of these things so that you can use them if there is a question later on. When you settle debt you are responsible for paying taxes on the debt that is forgiven. You need to plan for this and set money aside to cover the taxes. Additionally, you should only address one debt at a time, so that you do not start getting collection calls all of the time.